Agreed. Love seeing all the golden age costumes. Some amazing characters and some I never knew of! I remember this being THE issue that hooked me on the Legion, sure I'd read some stuff but this was the one. That James Sherman art in stunning B&W, because Australian reprint, with early Bob Wiacek inks had me. Insane headpiece and all, the character has stuck with me for 40 years, even though he only appeared one more time(that Im aware of, I stopped around the Bierbaum era). I loved the Infinite man. I still have that issue. Random thoughts on Day One...because it's a thing I do and I have a little time right now. The pick of Count Nefaria by Fearless Leader surprised me. Not that it's a bad look. I just find it kind of generic. Animal Vegetable Mineral Man is my kind of villain. I somehow did not think of him, but he would have gotten consideration if I had. Enchantress and Madame Viper both have great looks. They have that femme fatale thing happening that will be seen a couple times in my list. The Mekon!!! This makes me want to read Dan Dare. Honestly I don't think I've seen him before and I have only read one Dan Dare book (by Ennis, I believe) but I love him. He looks a lot like the Kelly Freas cover of Martian Go Home. Venom...ummmmm...Mama always says...I'm a long time Venom hater. Differences make the world go around and all that. Flag Smasher. I wasn't reading much in the way of Marvel comics at that time. I'm not at all sure I've ever read a book with him in it. It's not a bad look though. Ir, Ur and Ar...those guys are cool. I wanna read those books now. 9-Jack-9...another cool look. I know I've read Zot #6 but it's been at least 20 years and I have no memory of it or this character. I demand an Iron Jaw/Baron Underbheit team-up. They can fight Atlas-Seaboard's Iron Jaw. Queen Clea perplexed me because I couldn't for the life of me remember her, but knew I should. I read the JLA-JSA team-up with her in it. But I've never been a Wonder Woman fan in any way, so that was the only time I've seen her. Smaug is cool. I would never have thought of him...but I'm glad he's here. Catwoman in her purple...she'll likely appear again. Unicorn. That's an okay look. Tombstone. 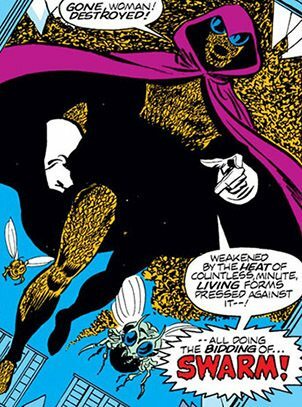 Again I'd pretty much stopped reading most Marvel comics at the point he appeared. Feels like a punk Solomon Grundy. Not what I want on my pizza. Monarch...Huh...Well at least we have the fact that he's not who he was supposed to be. Lord LaZee. Only Reptisaurus would bring us this. And that's why we love you. The Fadeaway Man. I never like Hawkman...until Hawkworld. So the only time I ever saw The Fadeaway Man was in that issue of B&B. That's certainly a cape. Ming the Merciless...yeah...chances are he will appear again. Ultra-Humanite. I felt bad leaving him off my list, but really felt I could only justify one gorilla baddie. Needless to say I love him. Ultron. I always liked his look. Shaper of Worlds. Another one I didn't think of but would have gotten consideration. He looks like a Skrull-in-a-box. Blacklash. I forgot him too. But I like the look. Composite Superman is wonderfully goofy. Infinite Man was from just before I started reading Legion. Interesting look. I had to Google that Freas cover, but I've seen it before and, yes, it is kinda Mekon-esque. The Ennis Dan Dare mini-series from 2008 was pretty reasonable (and I'm pretty sure that the Mekon did appear in that), but you haven't really experienced Dan Dare until you've read Dan Dare by Frank Hampson from the pages of The Eagle in the '50s and early '60s. The stories are really cracking sci-fi yarns, populated by WWII style, stiff-upper-lipped British heroes, battling dastardly and exotic alien races. Hampson's exquisite painted artwork is just to die for (just do a Google image search for Frank Hampson Dan Dare and see for yourself). There's also a wonderful "future-retro" aesthetic to the strip, in which the officers of Space Fleet basically dress in Second World War RAF uniforms and the interiors of their futuristic starships have control panels like that of a Lancaster Bomber or something. It's a shame the strip isn't better known outside the UK, but Dan Dare is fondly remembered by men of my Father's age group, who grew up reading it as young lads. Beyond that, Dare and the Mekon are both well known cultural icons among the general populace of the UK too. I think Titan Books reprinted the original Dan Dare strip most recently, although I've no idea if they're still in print. Myself, I have the oversized, facsimile editions that Hawk Books put out in the late '80s and early '90s, which reprint the strip at its full, broadsheet newspaper size, but those are long out of print and can be quite pricey on the secondary market. Little late to the game... I'll preface with a bit of a confession. I found this surprisingly hard. Learned something new about myself. This is my 12th CCF and almost every year the challenge is in the narrowing. I had trouble with comic strips as I've just never read a lot, but I knew that going in. This turned out to be the 2nd hardest year... I learned I just don't love villain designs. I am generally not that opinionated on design, but do have many iconic hero designs that I love. And I love comic book villains. But I love 'em for their deeds. And, being honest with myself, my favorite villains are simply not my favorite villain designs. Magneto, Thanos, Galactus... love the characters... could take or leave the designs. I finally came up with 12 and more than 12. Finally had a full 15. I'll confess I cheated on my #4, because I saw the choice in this thread and made a quick fix before making a dumb omission. Enough ado. I've got 12. A few villains I love. A few I could take or leave but that have great designs. A couple I barely know anything about except that their image is burned in my brain. One more disclaimer. I find creator credits for the design alone tricky to pin down. Especially as it is often controversial. 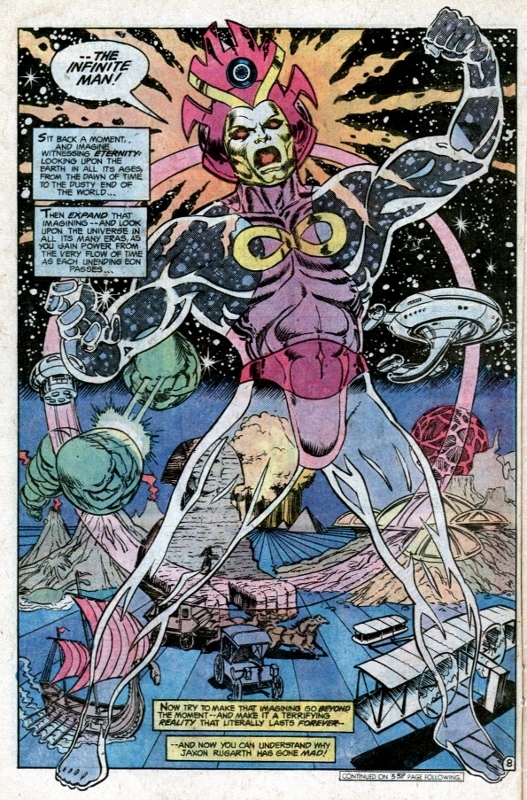 For the most part, I'll choose to credit the penciller from their first appearance. Please correct me if that's wrong. He's a nazi made of bees. I dare you to do a better job designing what a nazi made of bees would look like. If you don't have your character riding a giant bee, you've already failed. Two things I like about the costume. I like the idea of disparate pieces forming a recognizable shape. Saw a demo of computer code plot traffic in Manhattan once, and I thought they had some base map of Manhattan to start with. But they didn't. Only the data. The cars (really people's phones in the cars) formed a perfectly complete map of the city grid. Just like the bees form a perfectly recognizable shape. Similarly a fan of the tiny robots in the Big Hero 6 film coming together to form various shapes. The second thing I like about the costume is the cloak. I'm a fan of cloaks. And it had the nice effect in his first appearance that you didn't know he was made of bees. Another latecomer here. Time is suddenly a lot tighter than I was expecting but I'll try to keep up as best I can. I like the imposing and scary but somehow disturbingly seductive sorceress type: these mixed signals create an interesting tension when the balance is just right, which isn't always an easy thing to do. Karnilla, the Enchantress, Morgan la Fay, Satana and others were all contenders here but I went with Umar, probably in part because I'm such a big fan of the whole Dr. Strange world. But I also like the simple but effective design. As with many comics characters, I'm thinking as much of the potential as of any actual appearance on the page that I could point to. I don't think anyone's yet written the definitive Umar story, not even my favourite Dr. 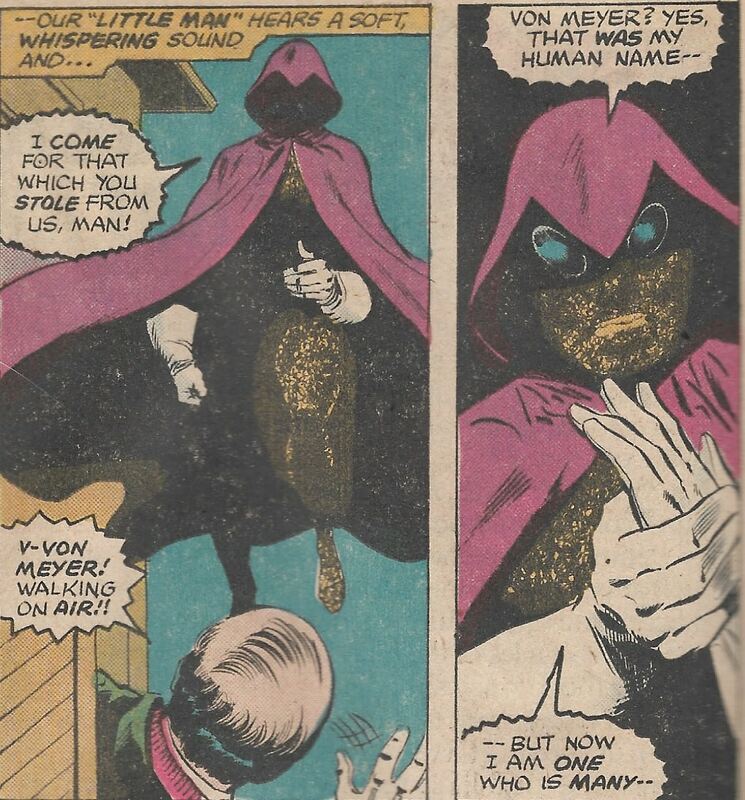 Strange writer, Steve Englehart. She was in my top 20 because of the reasons that you stated here and one sad thing about her that I hardly knew this character and can't not elaborate it even further. I just wanted to let you know that this is a worthy pick that you've selected. The Swarm. He actually is pretty cool looking. Umar. I didn't think of her but she has that femme fatale look that I like and will show up higher in my list. 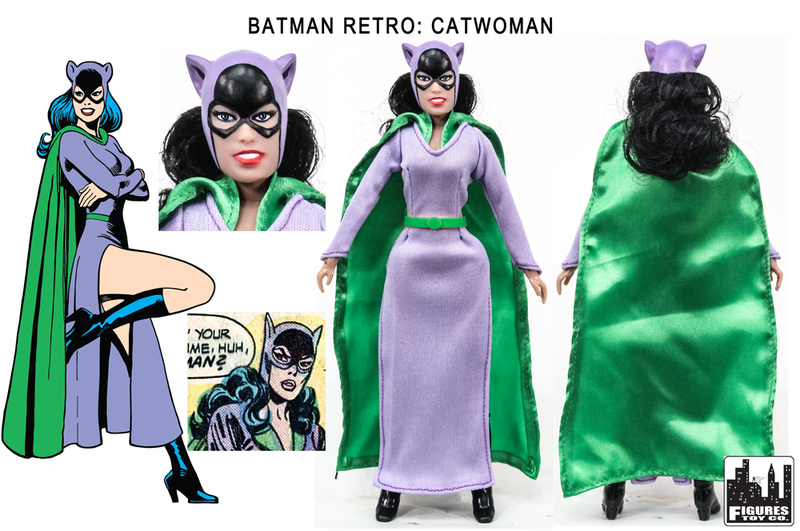 I think this one is a nostalgic thing for me, as when I really got into reading Batman as a character, this was the outfit Selina was wearing in the comics. I had seen her in other outfits, and on the TV version all in black, and some of those looked good. 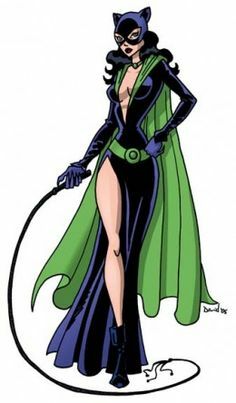 But when I saw the Purple/Green combo, the colors just went so well together and my brain went "perfect"
certainly, the cape is not practical - at ALL. . but visually, and from a design standpoint? This is still THE Catwoman costume for me.